Caroling in Jackson Square is an annual holiday tradition in New Orleans. 700 Decatur St New Orleans, LA 70116 December 16, 2018 7:00pm Click Here for More Information or Call 888-756-6250. 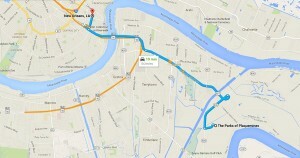 Revitalize the Corridor Between New Orleans & Causeway Blvd.